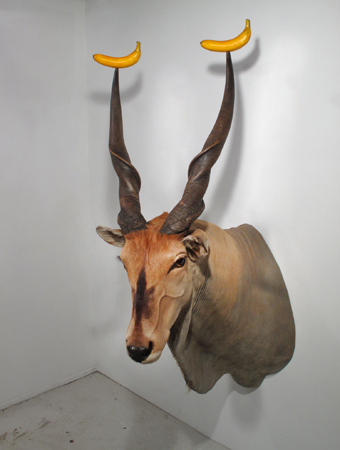 I made in 2012 with #antelope#taxidermy found in #nyc and #bananasmaking two #smiles . When the bananas get rotten you can replace them with new bananas or fake ones. In this case the smile will last #forever. The antelope doesn’t care.